The 5-star Padma Resort Legian offers comfort and convenience whether you're on business or holiday in Bali. The hotel offers a wide range of amenities and perks to ensure you have a great time. Take advantage of the hotel's free Wi-Fi in all rooms, 24-hour security, gift/souvenir shop, taxi service, 24-hour front desk. Internet access - wireless (complimentary), non smoking rooms, air conditioning, wake-up service, desk can be found in selected guestrooms. To enhance guests' stay, the hotel offers recreational facilities such as fitness center, sauna, outdoor pool, spa, massage. Padma Resort Legian is an excellent choice from which to explore Bali or to simply relax and rejuvenate. 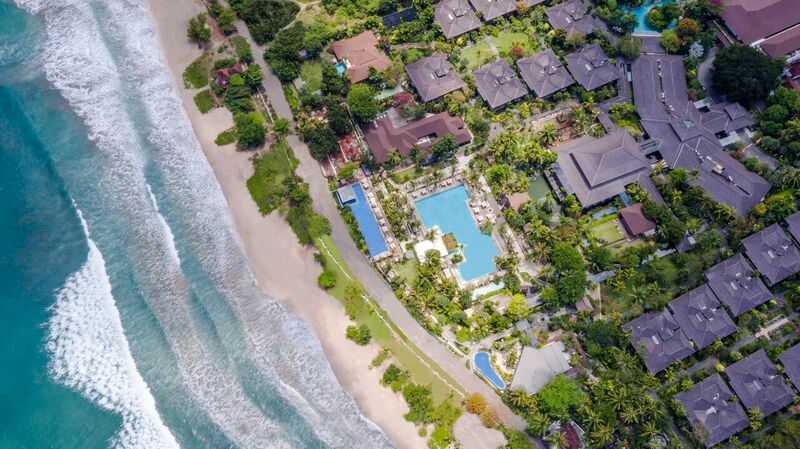 Padma Resort Legian is perfectly located for both business and leisure guests in Bali. The hotel offers guests a range of services and amenities designed to provide comfort and convenience. 24-hour room service, free Wi-Fi in all rooms, 24-hour security, gift/souvenir shop, taxi service are there for guest's enjoyment. Comfortable guestrooms ensure a good night's sleep with some rooms featuring facilities such as television LCD/plasma screen, complimentary instant coffee, complimentary tea, mirror, sofa. To enhance guests' stay, the hotel offers recreational facilities such as fitness center, sauna, outdoor pool, spa, massage. Convenience and comfort makes Padma Resort Legian the perfect choice for your stay in Bali.